Hi there! 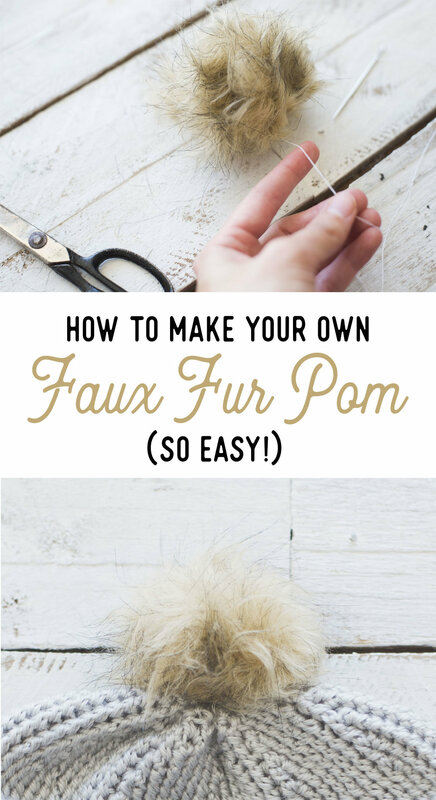 I've got a quick little tutorial for you today, on how to make those oh so cute and popular faux fur poms- at home and for cheap! It's so easy and quick, you won't want to ever buy one again! I will say that cutting faux fur you run into a bit of a mess with the extra loose fur that gets cut. So just be prepared for that! I do mention a tip below on helping reduce mess. So to start, I just cut a 5-inch square. If you'd rather, you could always use a bowl or other round object for a stencil. Obviously the size can be totally customizable. I found the 5 inch size to be a good size for a hat. I may go even another inch for the next one I make. 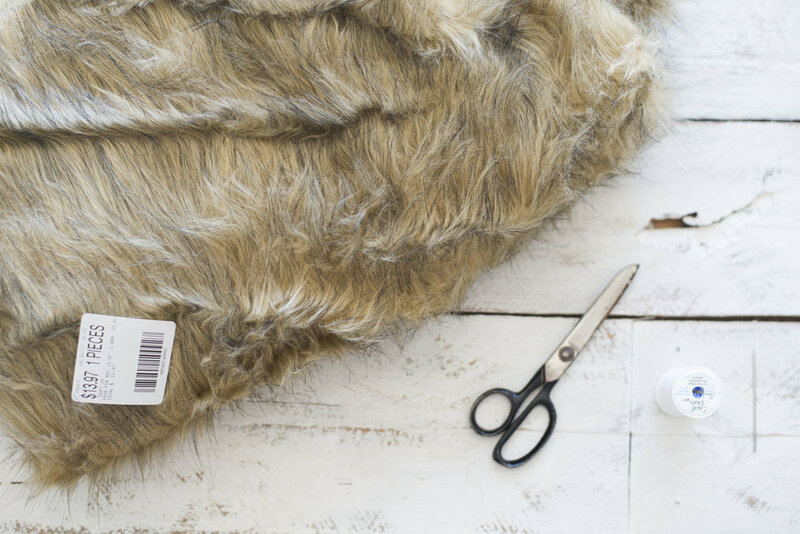 **A tip for cutting- spread the fur apart to cut the fabric. This will minimize the amount of messy loose fur that will fly around after cutting. This is kinda messy! After that I rounded off the corners and created a circle. Honestly it's not the end of the world if your circle isn't perfect. 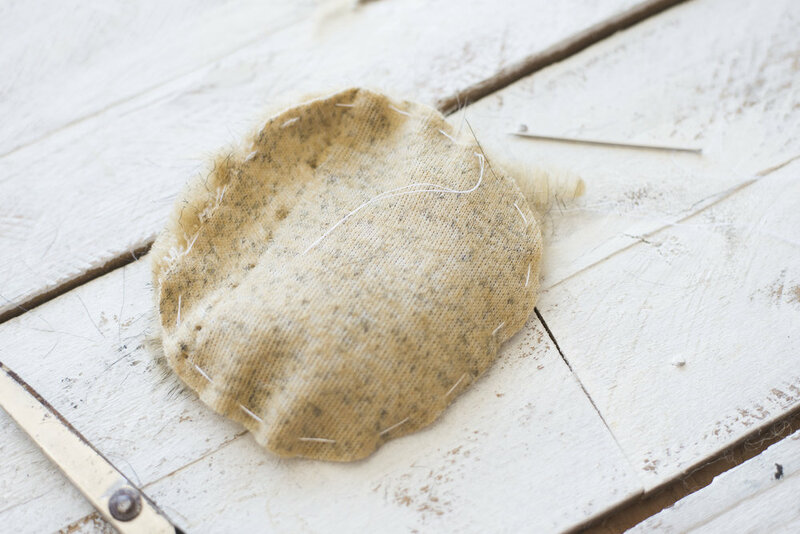 Then with your needle and thread, make a running stitch along the very outside of your circle, all the way around. I wouldn't sew too tight, as that will make it harder to gather. Just sew nice and loose strides. Next you'll gather the edges by pulling on your thread. Before gathering it up entirely, stuff the pom with your stuffing of choice. I chose to make a few passes with the thread and needle again to close up the edges entirely. I just went back and forth with the needle through the gathered bunch and pulled tightly. Then lastly, you will either sew your pom onto your desired piece if it's ready, by making passes through your piece and the bottom of the pom. Or if you're saving it for later, tie a couple of knots with your thread to secure it, then weave it into the inside of the pom, and cut the thread. Or you could even leave the strand for sewing later! 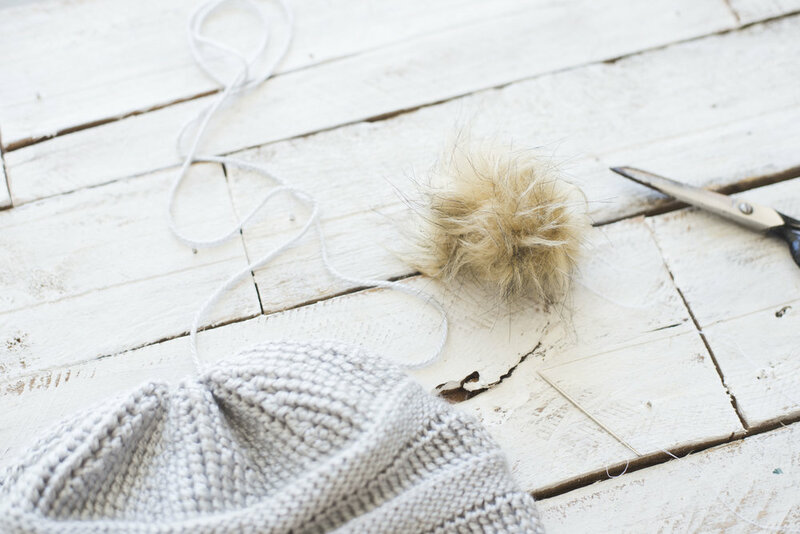 Keep an eye out for the pattern for this cute and cozy crochet version of the CC beanie coming this weekend.. I topped it with one of these fur poms! !